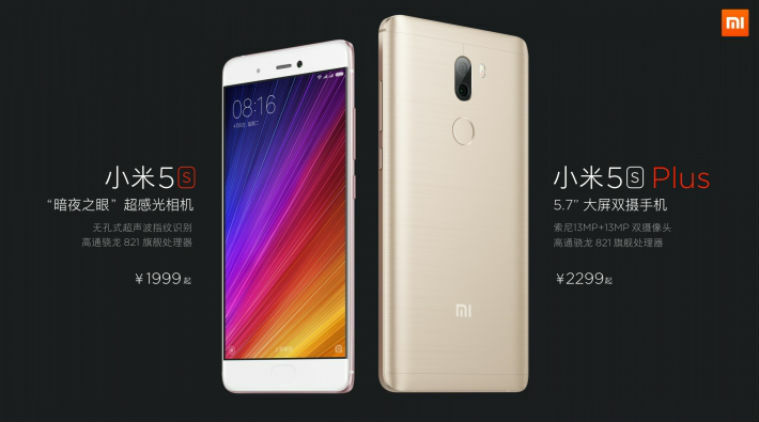 Xiaomi has finally launched its new flagship line-up, the Xiaomi Mi 5s and the 5s Plus. The Xiaomi Mi 5s is a full metallic phone with a dual SIM setup as usual. The phone comes packed with Snapdragon’s latest and most powerful processor, the 821. There will be two (storage + RAM) variants of the device. The 64GB version, which comes with 3GB of RAM will cost around $300. The slightly beefier version with 128GB of onboard storage and 4GB of RAM will cost slightly more at $345. The camera on the back should theoretically be better with its slightly larger pixel size, bit isn’t anything jaw-dropping. It’s a 12 Megapixel sensor with an f/2.0 aperture and a dual tone flash. 4k video recording is also available at 30 fps. But perhaps the best feature of the Xiaomi Mi 5S is its ultrasonic fingerprint sensor. Contrary to most sensors in the market, this one is under the front glass panel instead of a cut-out through it. This will add seamlessness and improve durability apparently. It is also expected to be better than its capacitive counterparts in speed and efficiency. The rest of the phone is what you would expect. The display is a 5.15 inch 1080p panel. The phone also has a 3200 mAh battery. The second release of the day was the 5s Plus. It’s not your ideal “Plus” though in a sense that the “Plus” stands for more than just a bigger size. The phone has a somewhat different design. It has the same processor yet a larger 5.7-inch screen. The battery is also slightly larger at 3800 mAh. The fingerprint sensor is at the back instead of the front. And it’s not their latest technology. It’s the conventional capacitive sensor. Weird for a flagship. Perhaps it covers up for its flagship status slightly by the inclusion of a dual lens setup at the back. Two 13 megapixel sensors. One RGB and one BnW. Classic dual lens setup at this stage. It also comes in two (storage + RAM) variants: 64GB+4GB for $345 and 128GB+6GB for $390.